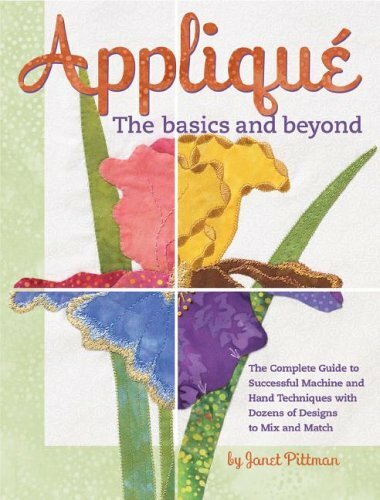 In 144 easy-to-read, easy-to-understand pages with more than 550 full-colour illustrations, teacher and designer Janet Pittman has created a stunning and comprehensive guide to applique. Beginners will find everything they need to know to get started successfully. Experienced appliquers who want to improve their techniques will be inspired by the hundreds of photos, patterns for mixing and matching and personal tips. Contents include: chapters on equipment and supplies; preparing applique, stitching and embellishing; 7 inspiring projects and 12 alternative quilt layouts; 16 pattern groups for mixing and matching; and 23 notebooks with essential how-to information.